As we get nearer to the birth of Baby Sussex, there’s been a lot of talk lately about when and how House Sussex will make the announcement. In the past, we’ve seen Princess Diana with Prince Charles and Kate Middleton with Prince William outside the hospital posing for the crowd of gathered media and royal fans. I remember how it was when Big G was born. It was a hot summer in London, the press and the fans were camped out for days across the street from the hospital to hold their positions and there were all kinds of stories about where people were going pee and what it smelled like. At least those were the questions I had of some of my friends who were assigned to the story. This is not what will happen with Prince Harry and Meghan Markle. Buckingham Palace today released a statement from the Sussexes thanking people for their well-wishes and confirming that they’ve “taken a personal decision to keep the plans around the arrival of their baby private” and that they “look forward to sharing the exciting news with everyone once they have had an opportunity to celebrate privately as a new family”. 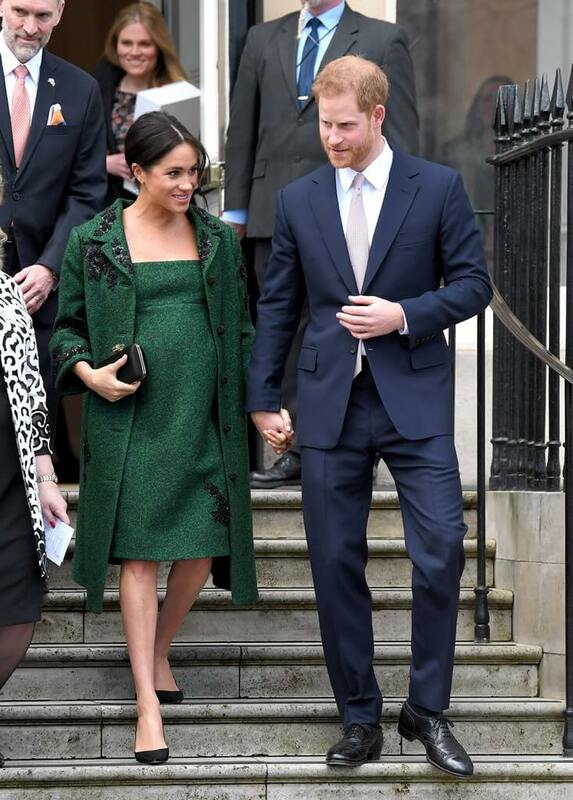 Here’s what that will look like: a few days after the birth, and probably an Instagram post, Harry and Meghan will participate in a photo call with the baby on the grounds of Windsor Castle which, of course, is where they were married. Only one British press association reporter, one photographer, and one TV camera will be invited to capture the moment and ask some basic questions. Those images will then be pooled to other outlets around the world. So we’re still going to get that scene, it’ll just be a much more scaled down and controlled situation and not a circus. To note: press association only means no Daily Mail, no the Sun. You can probably imagine the sniping that’s likely been going on today since the news was delivered. Any time now. So are we ready to play predictions for Jayden Sussex’s real name? I have one locked in for a boy but I still haven’t landed on one for a girl. Send me yours. I want to post them tomorrow!